The Northern Rockies Ecotour App is a free iPhone/ iPad based travellers’ guide to the Northern Rockies region of Alberta, presenting the region’s rich First Nations history, exploits of early fur-traders, artists, missionaries, tourists and scientists and the ongoing interplay of people, wildlife and their inspiring mountain and foothills ecosystem. The authors draw on current research to discuss key environmental issues such as climate change and biodiversity conservation. The App includes 133 Ecopoints, arrayed along three major routes with side-trips: Hinton to Valemount on Hwy 16, Grande Cache to south of Cadomin on Highway 40, and Jasper to Lake Louise on the Icefields Parkway Highway 93. 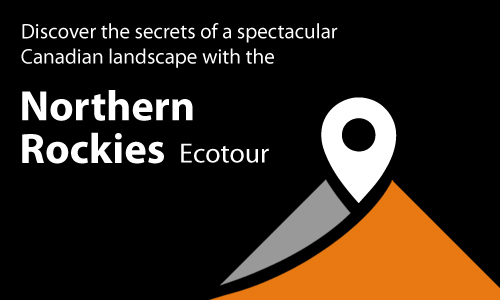 Each Ecopoint includes and photo and short description of its key features, with the option for the reader to continue to the full text from the original Northern Rockies Ecotour publication. Employing the latest in technology and social networking, visitors can share their experience with friends, posting comments and photos to sites such as Facebook and Twitter. A Guidebook is included in the App, enabling users to locate businesses and services of value to the traveler, as well as useful information on locations of visitor centres, hiking trails, picnic sites etc. along the route.